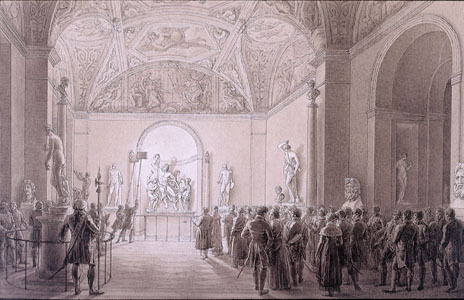 At the end of the 18th century Napoleon's invasion of the Kingdoms of Italy, his removal of its art, and reinstallation in the Musée Napoléon did much to strengthen this traditional view of the antique. 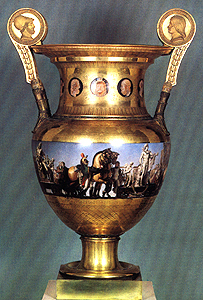 Most of the art Napoleon directed his commissioners to take was antique sculpture, not post-antique paintings. 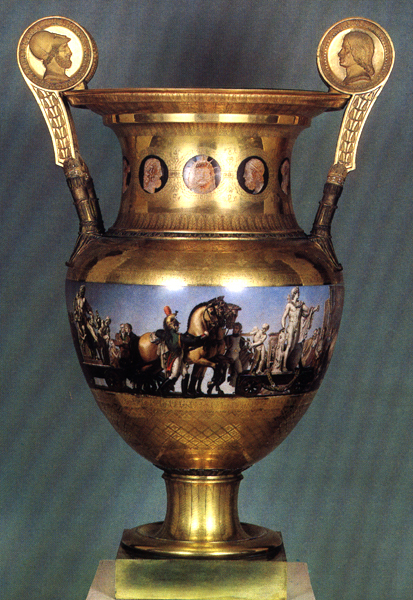 The entry into Paris of Laocoon, Apollo Belvedere, and other statues was celebrated on this famous Sèvres vase. Between 1798 and 1815 many more northern Europeans could see the Most Beautiful Statues in Paris than had ever been able to see them in Italy by engaging in a lengthy and expensive Grand Tour.